What Type of Bank is Right for You? You have a lot of options when it comes to which banking institution you use for your day-to-day finances, so be selective with who earns your business. Banks. Nowadays there are more options available to you besides brick-and-mortar commercial banking institutions. There are also credit unions and online banks. Within these three primary banking categories, there are then plenty of options to choose from. As of March 2017, the FDIC reported that there were a total of 5,060 commercial banks and 796 saving institutions. That’s a lot of choice for you the consumer! So, before you even make a decision on the actual bank you choose, how do you decide what type of bank is right for you? With all the various financial products and services offered today, it’s a good idea to know what the different types of institutions can offer you. Know the difference between banking institutions. When you think commercial bank, think your retail brick-and-mortal banks, like Chase, Bank of America, and PNC. Because they are so large, they often offer a lot of different financial services, from checking and savings accounts to loans and mortgages. Like a commercial bank, credit unions also offer checking accounts, savings accounts, loans, and mortgages. The primary difference between a commercial banks and credit unions is that a credit union is a nonprofit institution. Because credit unions are nonprofit, they do tend to offer higher interest rates and lower fees than a commercial bank. They do have retail locations, though they may be fewer than your big banks. But a side-by-side comparison of banks versus credit unions shows that they are very comparable. Online banks operate exclusively online; they do not have physical branch locations or ATMs. Their services are tailored to make online transactions as easy and convenient as possible, so you can manage your finances entirely from your home computer or mobile device. Most commercial banks now feature online banking, but features and capabilities will vary. In determining which type of banking institution is right for you, compare the following items. Research to find out which banking institution can pay you the highest interest rates and offer the lowest fees. Commercial banks tend to pay the lowest interest rates, while online banks pay highest. The reason online banks tend to offer the most competitive rates and fees is because they do not have the cost of operating retail locations. What kind of service can you expect to receive? A good customer experience doesn’t necessarily require face-to-face interaction (Amazon being a good example). Though each type of banking institution may place a different emphasis on customer service and community. Your biggest commercial banks may not be able to offer as personalized an experience as a credit union due to their size and scale. And what online banks lack in personal interaction, they make up with easy-to-use technology. Speaking of technology, your online and biggest commercial banks are likely going to have the most up-to-date technologies and digital financial tools. Credit unions may be slower to adopt the latest technology, but it doesn’t mean they won’t offer the technology you are looking for. 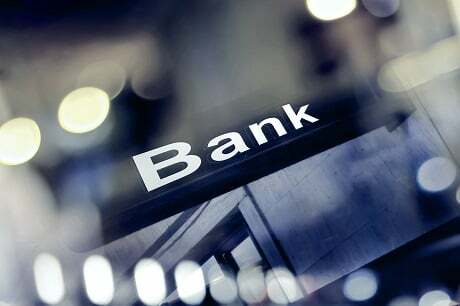 Here are a few last things to consider before you decide on your banking institution. When it comes to deciding what type of bank you want to use, there isn’t a bad choice – there are just at least three good options. We recommend that you consider how you will be using your bank to help you make the best decision for you. From opening checking and savings accounts to shopping around for a personal loan or mortgage, consider all your options. You may use a commercial bank for your day-to-day checking account, because you want the convenience of accessing a physical location and ATMs. However, you may use an online bank for your savings account, because it pays the highest interest rate. You are not locked into one banking institution or even one type of banking institution. If you open accounts with one bank, but then later discover a better option – consider switching! Just make sure you understand what the rules are for opening and closing accounts so that you aren’t hit with needless penalties or fees. Banks are in the business of making money off the money you lend them. Therefore, make sure you select the type of bank that offers you the experience you are looking for and will help you manage your finances successfully.